The WTO returned to France! The 9th World Open was held in Guillestre, a small town in the heart of the French Alps. Surrounded by high mountains and cols, it is known for steep road cycling and many adventure sports. 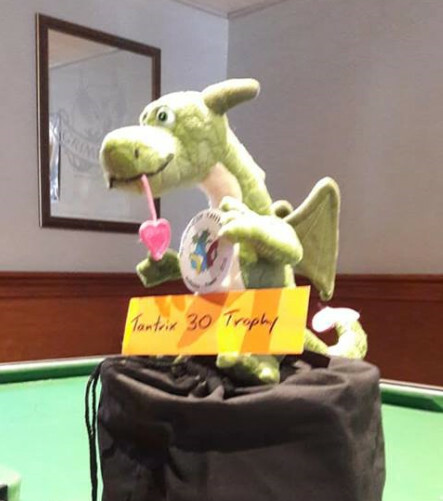 Players were invited to come early to help celebrate the 30th Anniversary of Tantrix. There was lots to do: playing Tantrix with the unsuspecting public, hiking, e-biking and Via Ferratas - not to mention exploring the highest village of France, St. Veran. And since Guillestre has the best alpine weather statistics of Europe, the sun delivered! The 10th WTO will be held in Oterleek, The Netherlands in May 2019, and will be hosted by Eva Radix and Joyce Chavernac. We hope to see you all again next year! 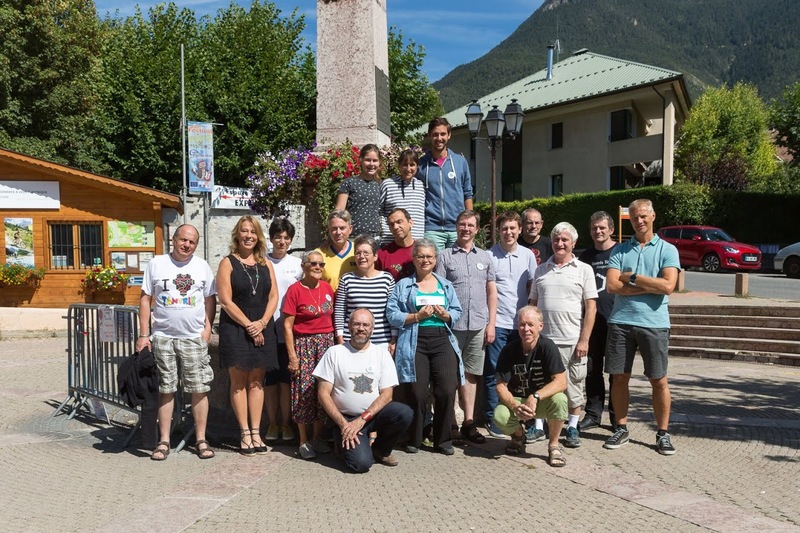 Concentration and silence ruled at the Espace Panacelle, Guillestre during the last weekend of August where 20 players from around Europe and New Zealand gathered to contest the 9th World Tantrix Open. Before the celebral challenge, many players joined one of various mountain activities on offer. These included paragliding in the skies of Guillestre (one brave Tantrix Agent), vertical dramas on the local Via Ferratas, not to mention alpine tunnel ebiking - its a thing! Guillestre really turned on the weather and the entertainment - co-hosting both Tantrix and the Potes de Marmottes Festival. Many players tried their hand at explaining Tantrix to the general public - and to the marmottes. Perhaps the latter understood the rules better in the end! However, it was the players themselves who made the largest sacrifice - some travelling for multiple days across Europe just to arrive in this remote spot. Budapest-Munich-Paris-Guillestre in the case of one Hungarian family. Below are some snapshots from the event. To further commemorate the 30th Anniversary, a special one-off competition was created using 30 randomly chosen tiles. 16 players competed in this modified Tantrix tournament with a straight knockout format. The final came down to Niklas vs Jeedee, with Jeedee the winner. Congrats! And of course huge congratulations to Niklas for winning his 5th title! Can he make it 6 out of 10 in Amsterdam next year? Finally, big thanks to the French players for helping at the demo, to Rick for being his immutable self and help behind the scenes, to Blick and Leslie for coming early, to Monica for turning prize giving into an artform, to Ben for listening to Mike's political opinions and unsought dietary advice, to Hendri for the photos, to JeeDee for orchestrating Trouble's appearance and to everybody else for just being there! 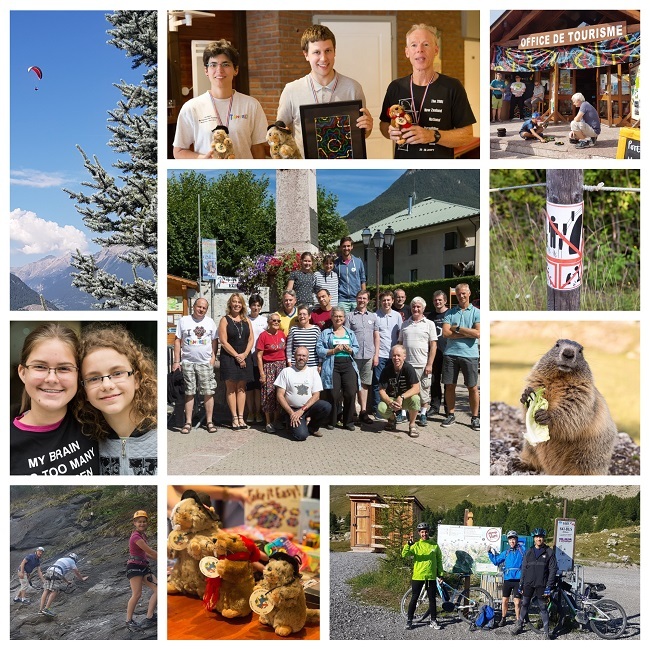 The world's most popular little crocodile made it to Guillestre! But he was in for a big surprise right on arrival. Mister T - a slightly larger crocodily dragon, eerily similar in looks, had already taken up his spot on the prize podium. Fortunately Mister T turned out to be a poser, so all is well in Trouble land. On the first day, Trouble was fought over by JeeDee and Luigi to find a new guardian - Luigi won. But he could not hold on for long - Xylotuba already had her eyes on him. Luigi barely got out a "Hello", when he'd lost Trouble to Iris in a convincing 2:0 challenge match. So - Trouble is on his way to Galicia. And world traveller that he is, he already knows the place and has many friends there. We hope to see him again in Holland in 2019. Thanks to everybody for coming, and making it a great weekend. © Copyright 2018, Colour of Strategy Ltd, Pohara, New Zealand. All rights reserved.